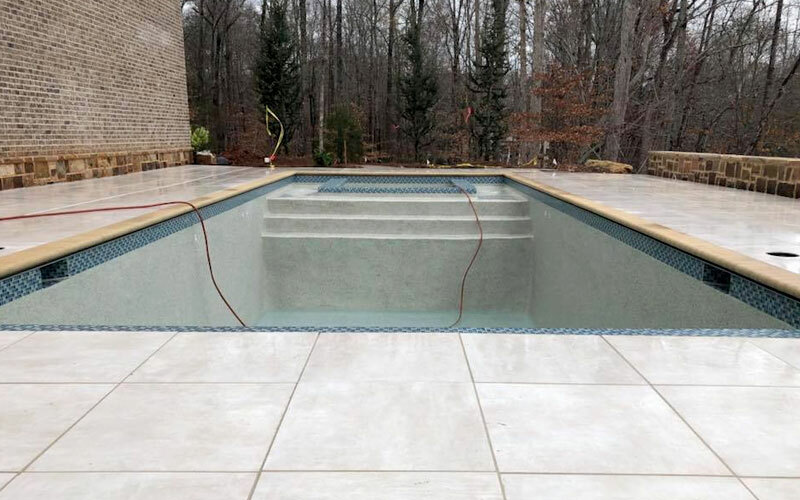 Our trained representatives will work with you to determine a pool design that not only fits your recreational needs, but also complements your backyard environment and your budget. We specialize in custom features, products and services. Please check out some of the great features we offer below. Clear Water Pools is 5 Star Rated and we stand behind our work. 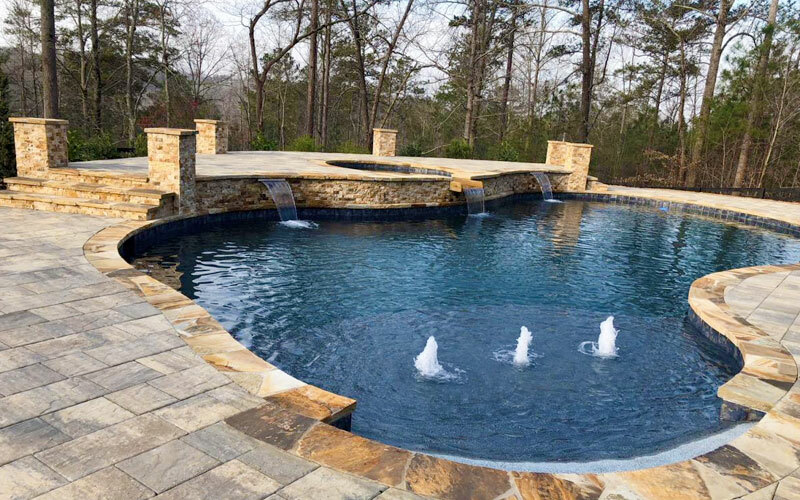 We build quality custom pools and stand behind our work so you get the quality and attention to detail you deserve. We specialize in designing custom residential swimming pools and spas. We can help build the swimming pool of your dreams. 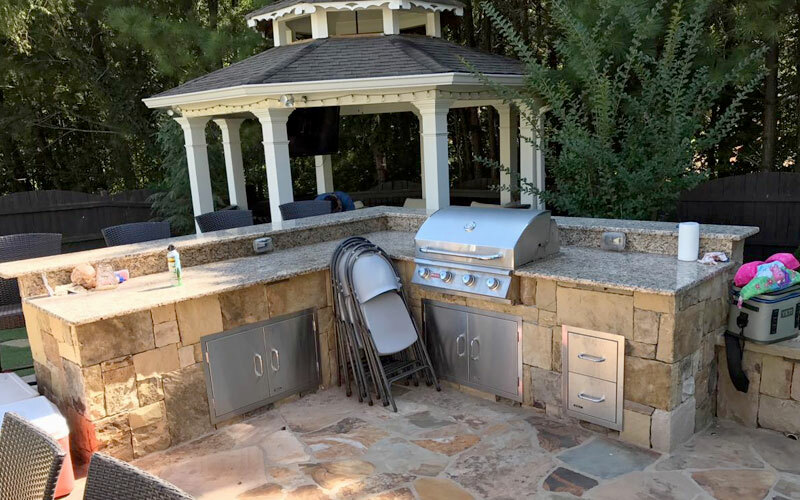 We handle everything including: Decking, Spas and Hot Tubs, Custom Slides, Waterfalls, Water Features, Flagstone Decking, Premium Equipment, Outdoor Kitchens, Grottos, LED Lighting, Fountains, and more! Take full advantage of the investment you’re making by adding a variety of options that allow you to enjoy your new lifestyle as pool owners. Keeping your pool sparkling clean doesn’t have to be as cumbersome as you might think. 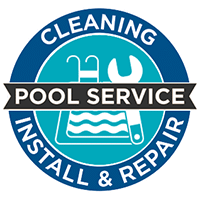 All pools are different, and so are their maintenance needs. 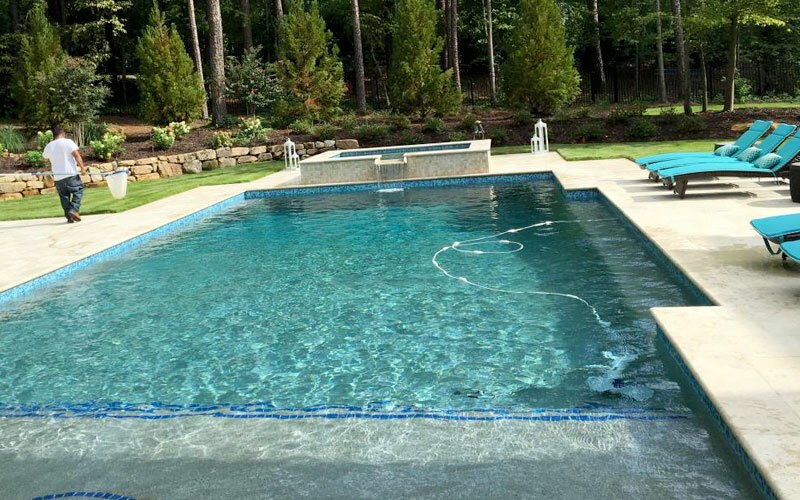 Clear Water Pools’ renovation specialists deliver more than you ever imagined possible with a complete modernization and style makeover.